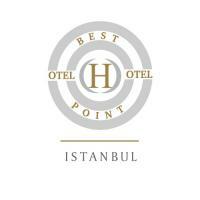 Renata Boutique Hotel Sisli sells fast on our website. Featuring free WiFi and a sauna, Renata Hotel offers accommodation in Istanbul. Guests can enjoy the on-site V.I.P Lounge bar. Each room at this hotel is air conditioned and features a flat-screen TV with satellite channels and HDMI port. Certain units have a seating area for your convenience. You will find a kettle in the room. All rooms have a private bathroom. Extras include bath robes, slippers and free toiletries. High speed cable internet connection is also available at an extra fee in each room. Renata Boutique Hotel Sisli serves gluten-free breakfast service upon request. You will find a 24-hour front desk at the property. Istanbul Convention & Exhibition Centre is 900 m from Renata Hotel, while Istanbul Congress Center is 900 m away. The nearest airport is Ataturk Airport, 16 km from the property. In Old City Istanbul Hotel Esans is a traditional modern family-run wooden house in old city Sultanahmet Istanbul. Location under the foot of Topkapi Palace, truly several minutes walking to all major sights with a breathtaking Bosphorus Sea and Princess Islands view on the terrace. A home made delicious open buffet breakfast does make you start strong to a new wonderful Istanbul day. An old master perfumer lived in this 19th century mansion which is renovated as ESANS Hotel. (Meaning "Essence") Eight perfectly decorated rooms are named as well known old Turkish essences: Sultan Room, Harem Room...A fine wind from the history filling your inside in a traditional modern wooden hotel in old city Istanbul. This well know Tashkonak hotel is located in the heart of old city of Istanbul that is within easy walking distance to the Blue Mosque,St.Sophia Museum,Topkapi Palace Museum, Hippodrome, Underground cistern and many touristic and cultural attractions. Enjoy the charm and attentive service of a boutique family run boutique Istanbul hotel with a friendly staff to attend to your every need. The Tashkonak Hotel is a tastefully restored 33 guestrooms with contemporary decor in rich colours, hardwood floors and wooden Ottoman-style furniture. All rooms equipped with cable television, Air Conditioner with self controller, High speed free wireless Internet access, Safe Box, central heating, direct-dial telephones and minibar. Bathrooms include showers, 24 hour hot water, hair dryers and local toiletries such as shampoo & soap. There is covered garden restaurant which have breakfast from 07:30 till 10:30 every morning. The hotel has a lovely and cosy "secret" garden. Beautifully kept greens provide the perfect hideaway for a relaxing afternoon or evening. You can sit here in the sun sipping a glass of fresh Turkish tea or coffee in the midst of this teeming, bustling city.